Kaspersky Anti-Virus 2012 is the backbone of your PC’s security system, delivering real-time protection from the latest malware and viruses. It works behind the scenes with intelligent scanning and small, frequent updates, while proactively protecting you from known and emerging Internet threats. Enjoy essential protection that won’t slow you down with Kaspersky Anti-Virus 2012! Links to ************sites are marked with color-coded tags that show their danger levels and allow you to decide if you want to open or block an online resource. With a single mouse click, you can check file safety against Kaspersky Lab’s authoritative, cloud-based information about known and emerging malware threats. Keep yourself constantly ahead of the cybercriminals and defend your computer against malware and other types of threats thanks to Kaspersky Lab’s relentless expertise and constantly enhanced protection technologies. 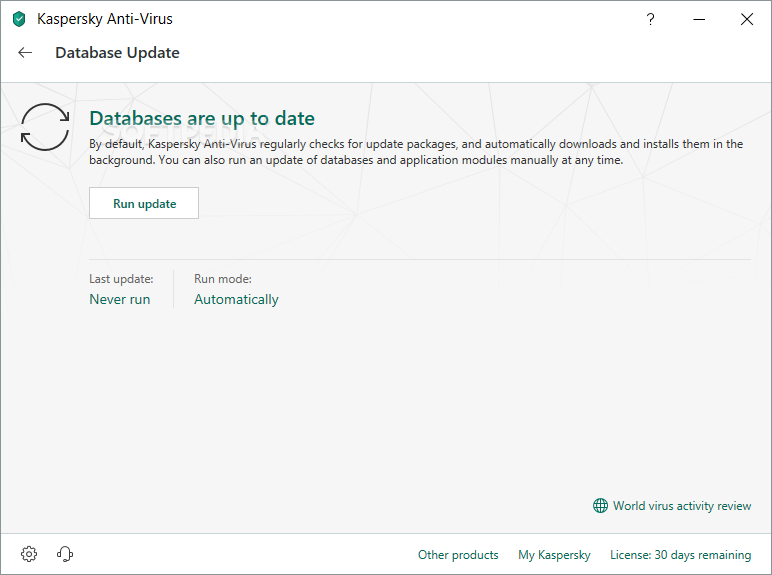 No need to worry about updating your Kaspersky Lab PC security software: updates install automatically to minimize your network traffic and download time and dramatically reduce your computer’s resource consumption. Minimize impact on your computer’s performance when browsing the Internet, watching videos and communicating online with the help of the smart PC resource management technologies inside Kaspersky Anti-Virus 2012. The state-of-the-art new interface shows your computer’s protection status at-a-glance and makes managing computer security easy.